Hurix’s flagship product KITABOO, has been awarded the ‘APEX 2016 Award of Excellence’ in the Education & Training – Electronic Media category. The award was given for its work on ‘Delivering Interactive eBooks on Mobiles & Tablets’. Hurix’s win was announced on June 22, 2016. APEX 2016 awards were based on excellence in graphic design, editorial content and the success of the entry—in the opinion of the judges—in achieving overall communications effectiveness and excellence. KITABOO has been recognized 2016 Apex Award winner as it helps enterprises, publishers and institutions to create and distribute interactive content securely on mobile devices. Present in over 20 countries and with a global user base of over 6 million users, KITABOO provides a multi-lingual learning solution with best-in-class user experience on the device of their choice. “The power of mobility is changing the way the content is created and delivered worldwide,” said Srikanth Subramanian, EVP Sales and Product Solutions at Hurix. 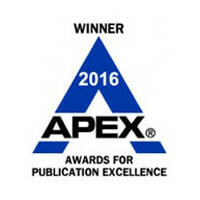 “We are excited on winning the Apex award for publication excellence this year. We have been at the forefront in the digital content technology space and this award is a testimony of this fact,” adds Srikanth. With over 15 years of digital learning experience, Hurix has helped clients in over 20 countries to distribute and manage compelling and engaging digital content across traditional and newer mobile platforms, formats and devices. Hurix has an increasing user base of 6 million users and over 12,000 person-years of experience. KITABOO: A cloud-based, end-to-end digital publishing platform that helps create and distribute interactive content securely on mobile devices. It’s enhanced analytics engine provides clients with valuable insights to create better engaging content. 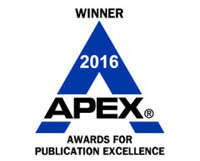 The APEX Awards for Publication Excellence is an annual competition for publishers, editors, writers and designers who create print, Web, electronic and social media. Communications Concepts, Inc. sponsors the APEX Awards and advises professionals who write, edit and manage business communications, on best strategies and practices. Concepts publishes business communication reports, including Writer’s Web Watch, an e-report for professional communicators, and special reports on topics such as corporate writing and Web publishing.